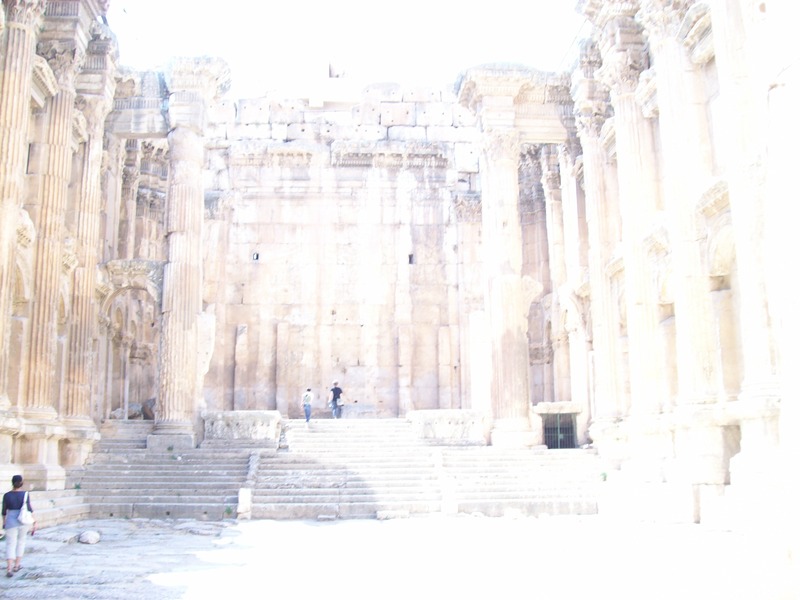 We began this day driving down to Tyre to visit the Presbyterian church there. As we approached Tyre, we saw many groves of trees laden with ripe oranges and bananas. Then we began to see trucks filled to overflowing with this fresh fruit, and then the fresh fruit and vegetable stands with fresh produce spilling out of crates and baskets. With these images before our eyes, we arrived at the church in Tyre. It is a small church with a few rooms, the sanctuary and the pastor’s house. Every nook and cranny of the church had been converted to classrooms for Syrian refugee children. Just when we thought there could not be any place left for other activities, we were taken up the stairs of the house to the roof. There was a small room accessed from the roof that had been converted to a classroom for sewing and cosmetology training. In here the Syrian women create wonderful textile objects and other artistic decorative projects. After our tour of the ministry of this small church, we sat on the roof having coffee, tea and sweets, while we listened to some of the women describe their projects and teaching methods. We met as the family of God on that roof. We were Egyptian, Syrian, Lebanese and American. We were Muslim and Christian. 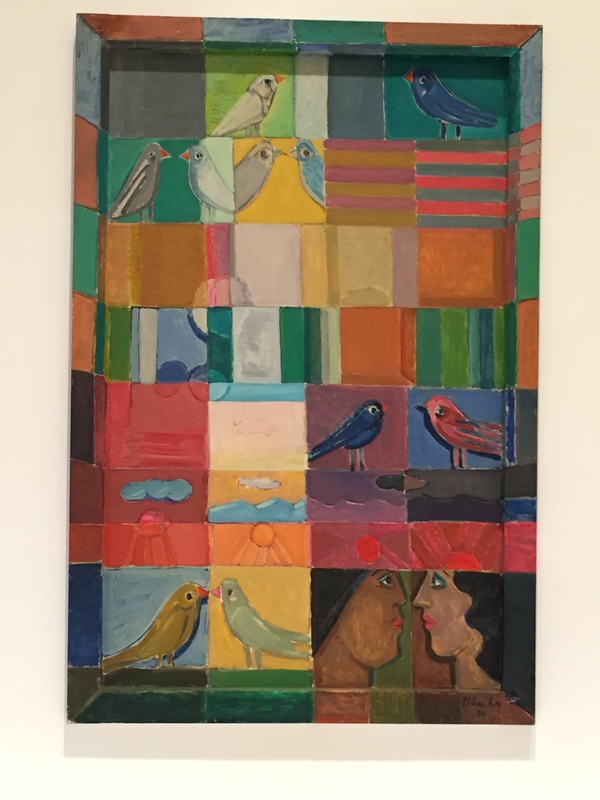 There was even a family in a combination of these identities who are being cared for as they seek asylum to begin a new life together in a place of love and acceptance. Even as they are served, they serve. The wife, who has benefited from the sewing classes at this church, will now become the teacher who will pass on the knowledge of what she has learned to benefit others. Another woman, Hanan (which means care and love) went on to explain the importance of community in these classes. She has learned much herself and will begin teaching advanced knitting classes. But the most important thing she has discovered is the interior knowledge that she has worth as a human being. She is not just a refugee, but a beloved child of God. Her worth does not come from what she can make with her hands, but simply because of who she is. She and the others are good women and will give a good picture of who Syrians are. In her words, “When we knit, we take a small thread and turn it into something great.” In the circle of knitters, they are free to be open and to share their troubles. As a Muslim, she has found a family here in this church. Here was a church literally bursting at the seams with classrooms and workrooms, so much so that the only place left for us to sit and have coffee was the roof! And there we heard about the other programs and ministries the church was involved in. 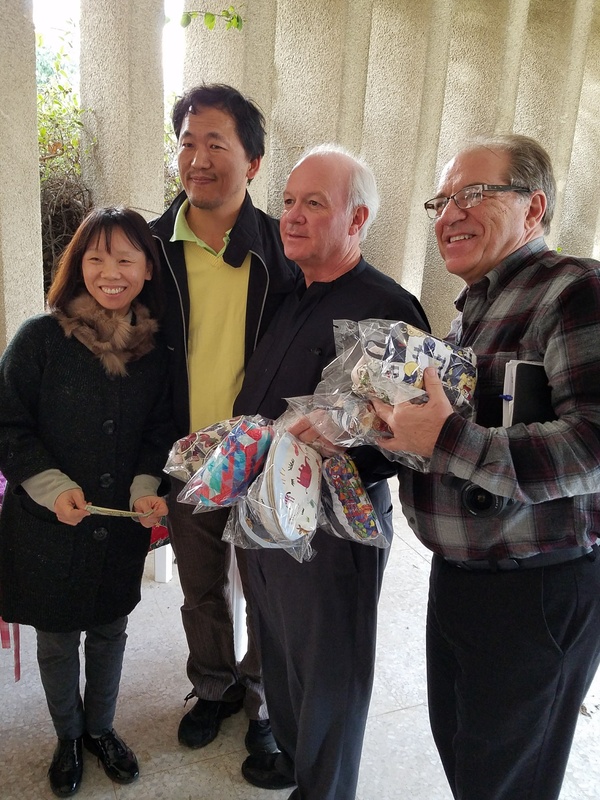 The Korean missionary couple in Sidon help our two Jacks purchase some of the needlework produced by Syrian refugee women. 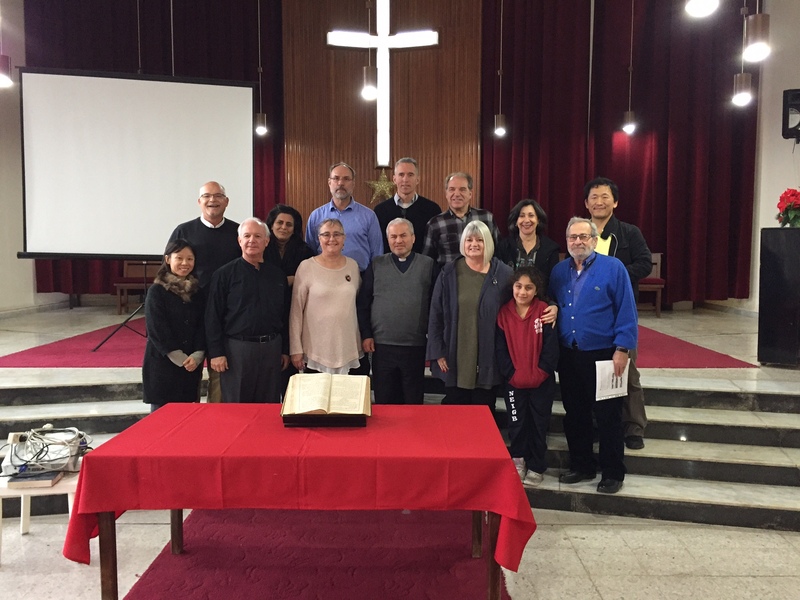 We ended our day visiting the church in Sidon, just north of Tyre, where Pastor Mikhael Sbeit and his wife Nadej, along with a Korean missionary couple, shared their work from similar projects with Syrian women. 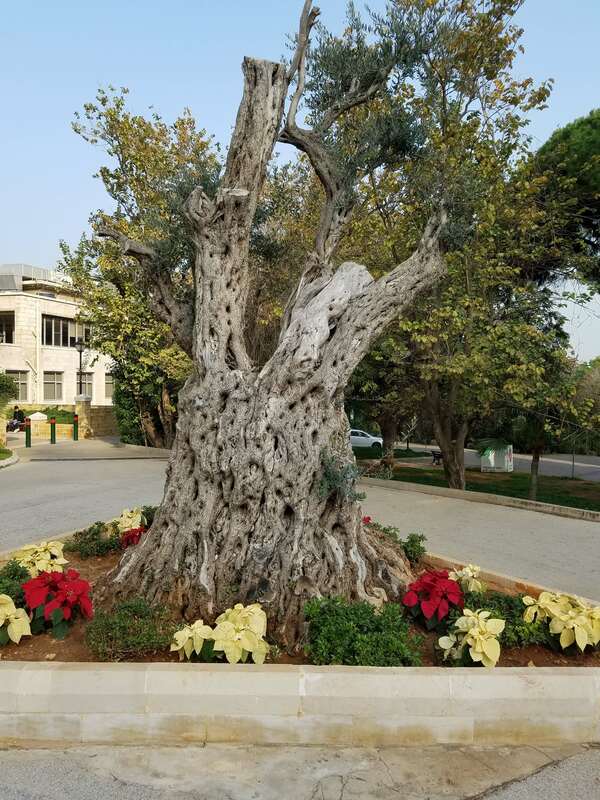 Just like in Tyre, not only are physical objects made as a result of these projects, but human dignity and value are discovered and koinonia blossoms. As our time in Lebanon draws to a close, this could not be a better image for we, too, are beginning to burst at the seams literally and figuratively. The incredible hospitality of the people has left our stomachs full, but not as full as our hearts and minds. Images of God’s people filled our minds as evidence of God’s love filled our hearts. I flew to Beirut with The Outreach Foundation team one week ago. We boarded our planes in our home cities of Omaha, Valparaiso, Hemingway, Allentown, San Diego and Atlanta, and made our way seven, eight and ten hours to the east. 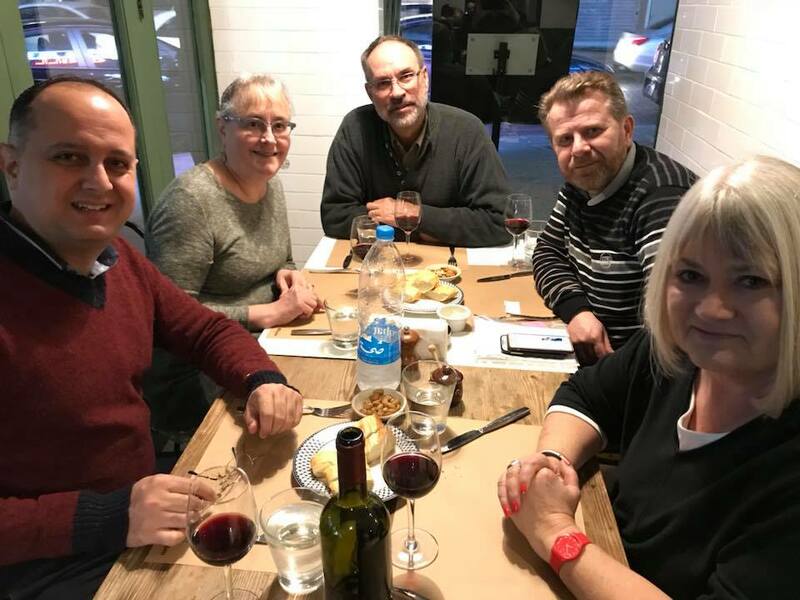 We came with the expectation of spending days with the church in Lebanon and then heading into Syria and reconnecting face-to-face with the churches there. One year ago I was part of a team that spent ten glorious days in Latakia, Yazdieh, Safita, Homs, Mhardeh, Fairouzeh and Damascus. We worshiped, we fellowshipped, we shared life in the body of Christ. We were hoping for the same this year. A similar trip with many of the same destinations plus one additional. I have longed to set foot in Aleppo for second time. I was there in August, 2010, on a similar trip. 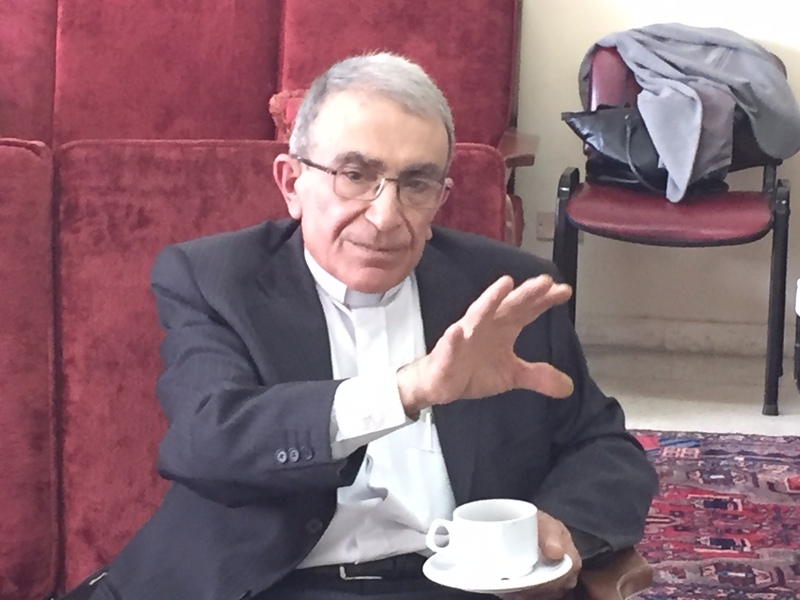 In Aleppo I witnessed the love and care that the Presbyterians of that city extended to the Iraqi refugees who had fled from the American war for safety and the hope of moving to new places. I walked the ancient streets. Ascended the steep and slippery-from-wear steps of the citadel. I shopped in the souk, enjoying tea while a spice vendor measured out precious saffron to take home for Steve. I was able to bring home stories of amazing neighborhood outreach to inspire my own church in Omaha. Three years after that trip, two years into the war that continues toward a seventh anniversary in March, I heard Pastor Ibrihim’s voice on the phone. 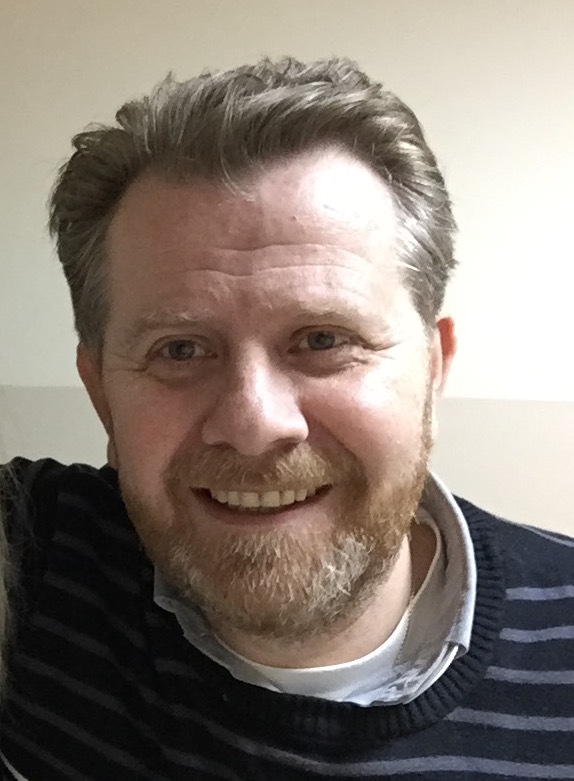 We were in Beirut and he was in Aleppo, caring for the people of his church and his community. In a city that is now 72% destroyed he and his family have stayed. Hearing the voice of the man who had now become for me the epitome of what a pastor looks like, was the closest we could get. Two years after that, as part of another team we took part in the annual women’s conference of the National Evangelical Synod of Syria and Lebanon in the mountains above Beirut. A van full of Aleppo women was the last group to arrive that year. 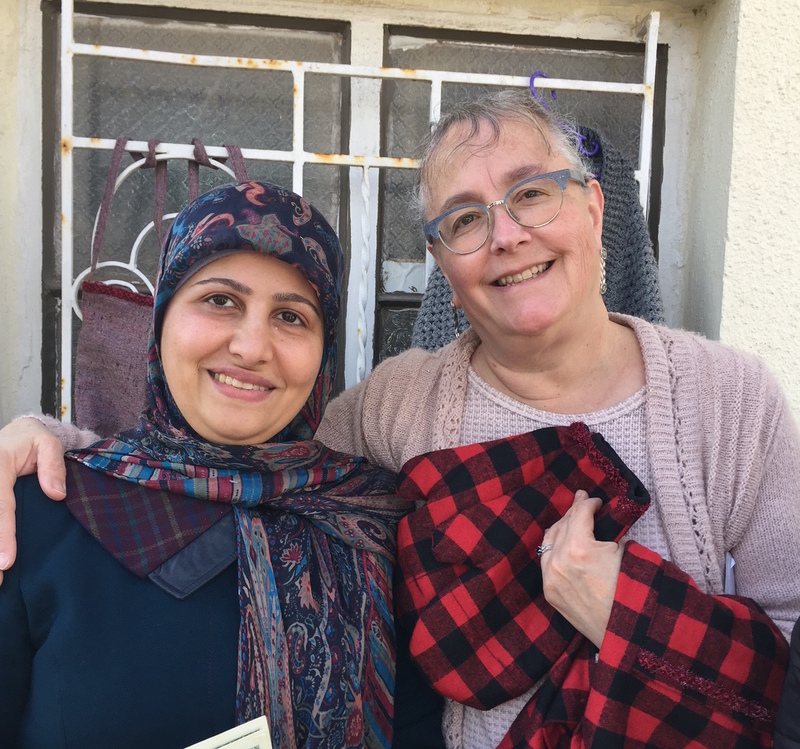 After a 15-hour trip along dangerous roads and through countless checkpoints, they tumbled out of the van into the embraces of the larger community of women who had prayed them in. Their joy was infectious, and it was almost as if life was normal and there was no war. The stories that came out as the week went on reminded us that life back home was not normal and the war still raged. Bombs fell. Bullets whizzed through the air and many times found their mark in human flesh. Rev. Salam Hanna of Latakia, me, Steve, Rev. Ibrihim Nsier of Aleppo, Marilyn Borst of The Outreach Foundation, my leader and mentor. My prayer is that we will still get there before we return home eight days from now, but so far no visas have been extended to us. Our beautiful plan A of eight days in Syria has now become plan B and Syria has come to us. Instead of spending time in Yazdieh and Homs and Fairouzeh and Damascus and Mhardeh and Aleppo, the pastors of the churches have come to us. We had four hours today to sit and listen to the situation in their cities, and tomorrow and the next day we will hear of what has happened and is happening in their churches. I spent the evening with two of them at dinner hearing of their families whom I know well. One of them was Ibrihim. Steve and I even got to spend some Facetime minutes with his beautiful wife Tami who sang “happy birthday” to Steve. …Aleppo is calling me and I am tired of waiting. I don’t remember exactly how old I was when someone first put a needle and thread in my hands, but I remember who it was. Actually it was three people. My Grandma Thirtle had a sewing box filled with bits of embroidery floss and sharp needles. She used to embroider pillowcases and dish towels. Many years later it was large tablecloths. For someone whose hands shook so badly with Parkinson’s disease, I realized many years later just how difficult the task must have been for her. But those dishtowels and pillowcases usually became gifts for someone, and I can remember that it took two of her tablecloths to cover our holiday tables because we were such a big family. When my sisters and I were small, she would iron a pattern onto a muslin towel or pillowcase and show us the stitches. Running stitches. Satin stitches. Daisy stitches. The hard to master French knot. When you learned the stitches and used the appropriate ones, when you changed the color of thread in your needle for a new part of the pattern, eventually you would have a frolicking puppy or a bunch of daisies or maybe even a butterfly. As we grew older, we would find designs to put on shirt jackets or tops. It wasn’t high fashion, but it was our own artwork. Before our mom died when I was seven, she used to sew all our clothes. There is this great Easter photo in which Jana, Susan, Sally and I (Cathy hadn’t come along yet) were in matching dresses. It is not the only time we were, but oh! how I remember those dresses. She left us when we were so young, that she didn’t get the chance to teach us what she knew, but that’s where the aunts came in. Aunt Suzy and Aunt Heddy made sure we learned how to use a machine. In seventh grade – back in the good old 1970s – all the girls took sewing. 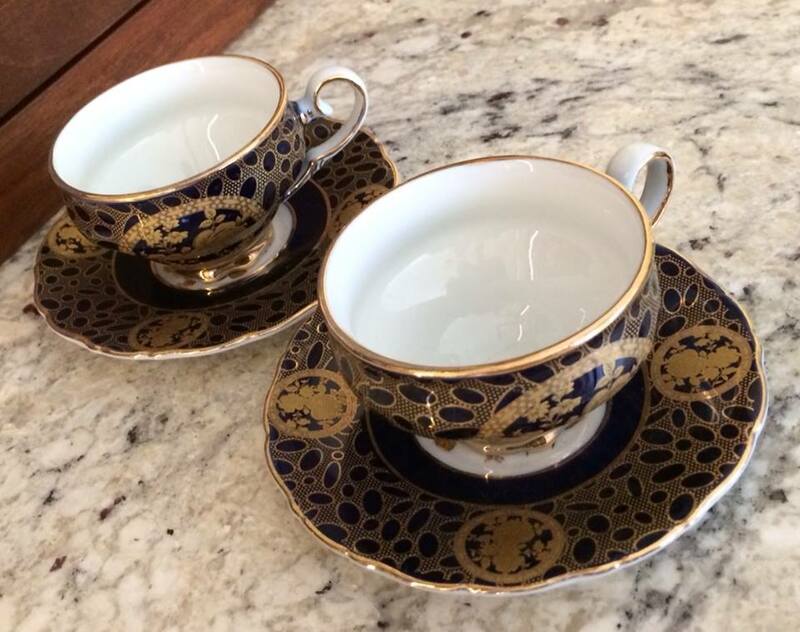 Because of those good aunts, we already knew how. We had sewn clothing for ourselves for more than two years before Mrs. Schiebe had us in class. That same Aunt Heddy hooked me on quilting when I was in my early thirties. 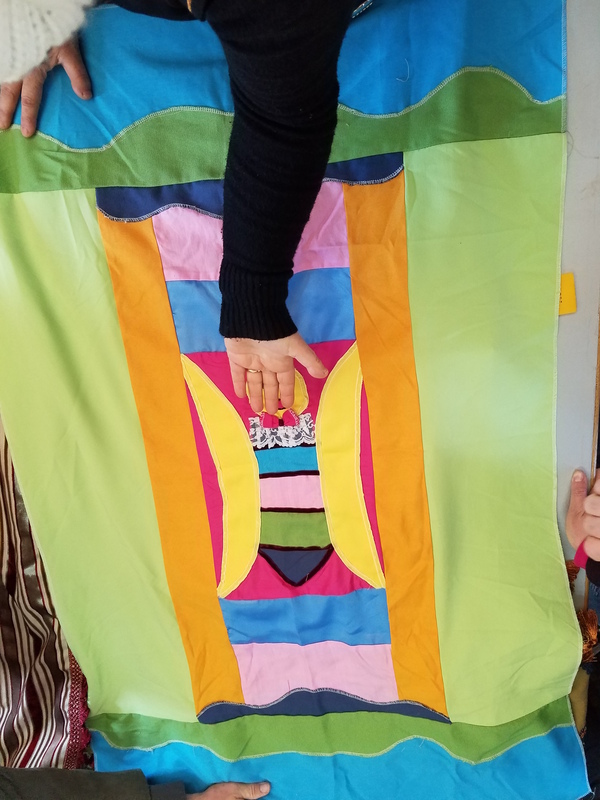 Cutting large pieces of cloth into smaller ones of different shapes and then stitching them back together in new patterns created a top that was then layered with backing and batting. 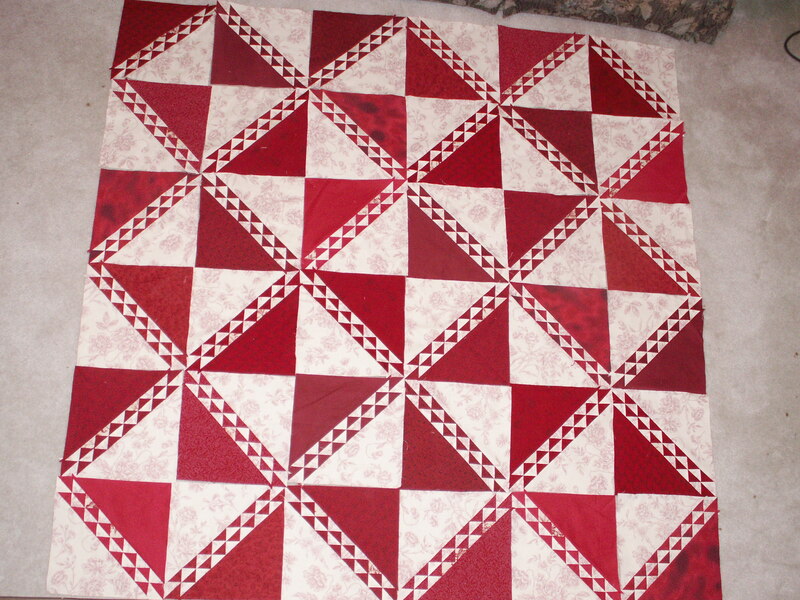 After quilting the layers together and binding the edges – presto! – you had made a quilt. I still have a large stash of fabric and many projects ready to finish that just await some good free time. It is therapy, and something that will blanket you with warmth comes out at the end. The best gift received from those lessons was the good time spent together in the learning process. Sharing moments and sharing love. Making something for someone else. Easy sisterly chatter. It was all good. I have had the joy and privilege of seeing that same kind of community in much harder circumstances than the ones I shared with Grandma and my aunts. There are thousands of Syrian girls and women who have fled the war with their families and are currently living in tents in the Bekaa Valley of Lebanon, among other places. When husbands or brothers are lost to the war, how do these women provide for their families? Who provides the milk? The diapers? The every day needs? How do you plan for a future? 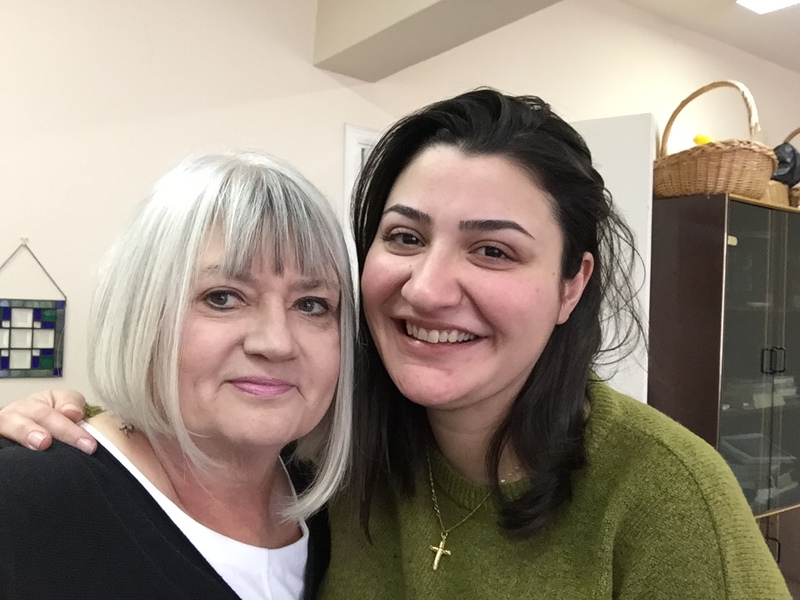 A special woman I know named Izdihar – an artist by trade, a lover of Jesus to the core – has taken some of these women under her care. 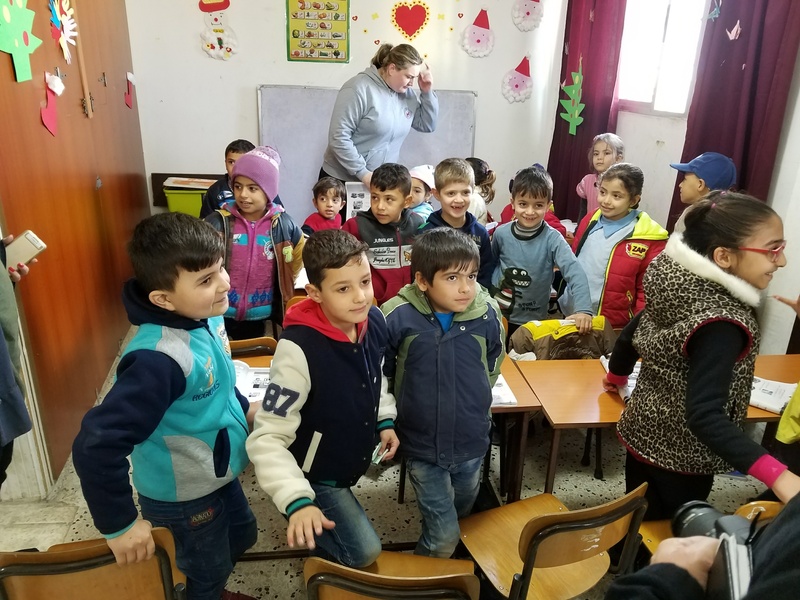 A number of years ago she saw a need in her own country of Lebanon to care for the overlooked impoverished families residing there and began an NGO called Together For the Family. Izdihar and TFF have channeled resources in these days to use what they have learned from those earlier years to reach out to Syrian women. And part of her ministry revolves around the needle and thread and sewing machine. Today our team visited her in the new campus she has set up near one of the non-UN organized camps. It was a sweet group of women we discovered inside. 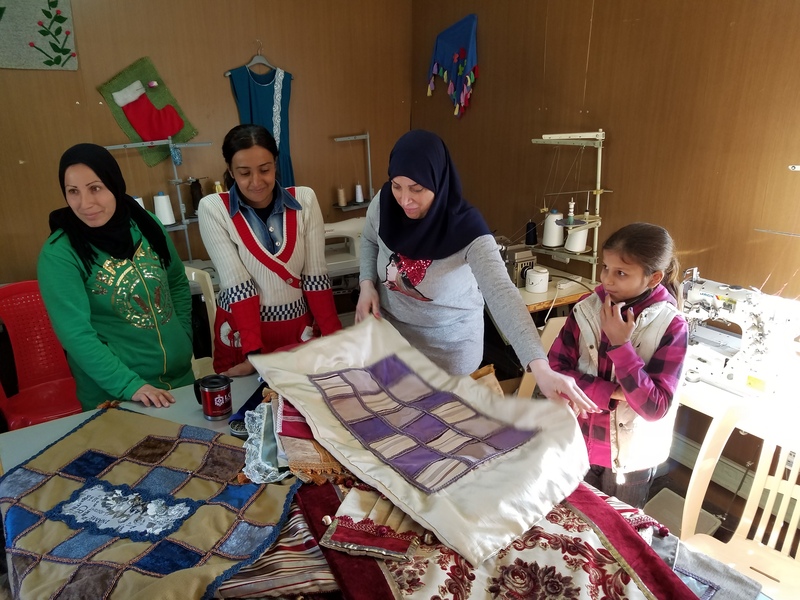 Wafa, a Kurdish woman from the northeast of Syria with five children, has worked with Izdihar for several years to help shepherd her sister refugees through a process of learning to sew. With other women about Wafa’s age (early 30s) all the way down to 11-year old Alla from Raqqa, these women were gathered together in a small room working on projects that would be part of their portfolio as they worked toward graduation from Izdihar’s sewing school. 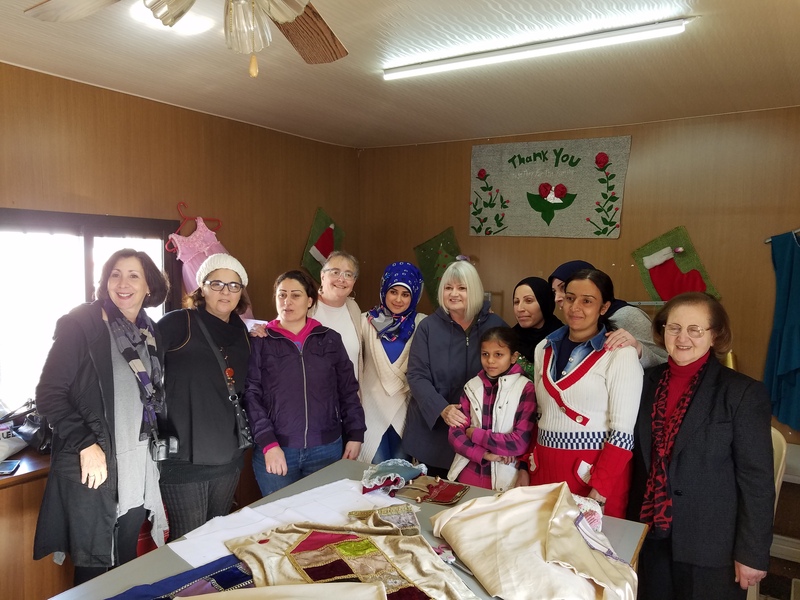 They make table runners, tissue holders, dresses, pants, baby clothes, pajamas and other items, all learned together in this little classroom that is furnished with sewing machines and a serger. Upon graduation, they will be each be given a sewing machine so that they can begin their own small business, producing some income for their family. Income means food on the table. Survival. As the saying goes, they are not given fish, but they are taught to catch fish. Izdihar has been able to sell some of what they make now as they learn, so they earn some money before the graduation day. We were shown the first of a number of quilt tops that they are making. In the center panel is the simple shape of a baby sleeping on a quilt. Once these are layered, quilted and bound, they will be given to babies, also cared for by TFF, who have been born in the camps where Izdihar works. Stitched with loving hands of women who have borne much pain, those new babies will be wrapped in the love of Christ. From 30,000 feet, the view can be daunting. There are thousands of women and children like the half dozen we met today. Where do we start? 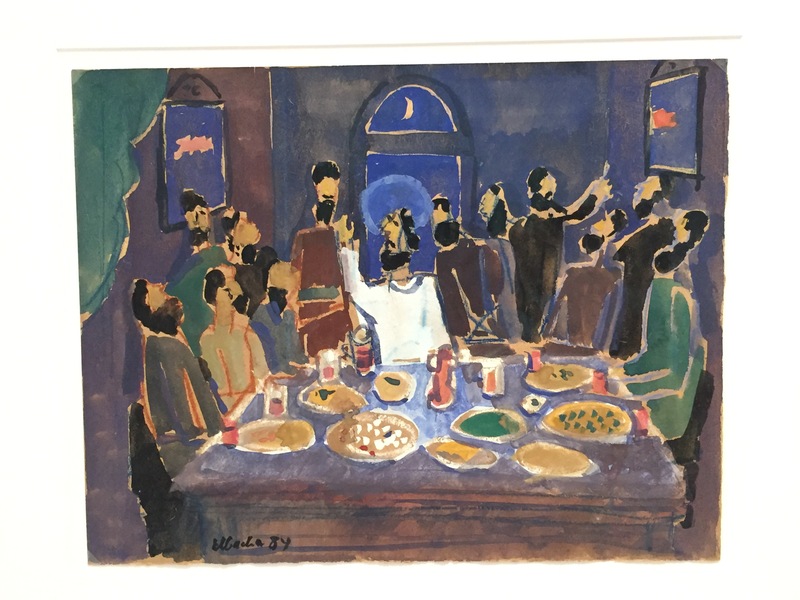 Come in closer where Izdihar is and hear her prayer: “Please Lord, give me this day work to do.” She sees the ones God puts in her path and she meets them where they are. She gathers them in. She puts the needle and thread in their hands. She teaches. She loves. She shows them a future. 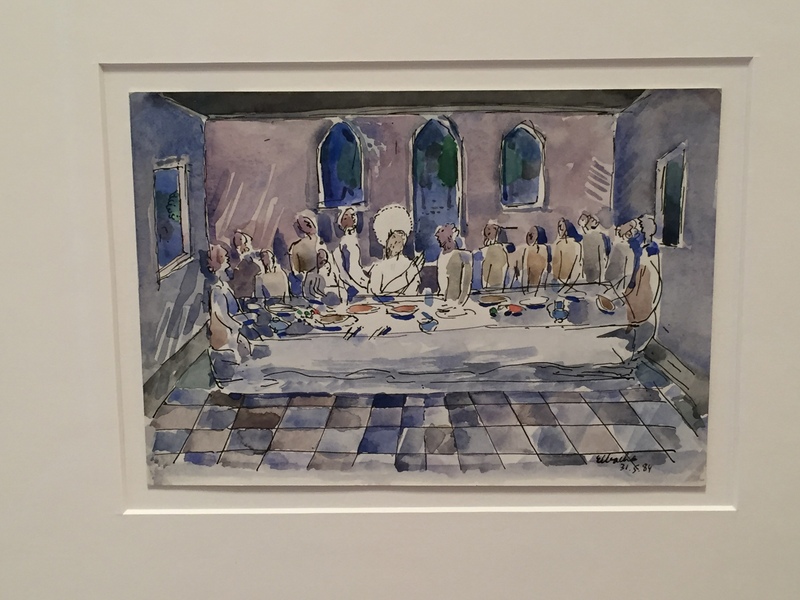 They will pass it on as it was passed on to me, and through the work of women’s hands, chattering together at the table in this small room, a little corner of a great big world will be blanketed with love. May God continue to bless this work and the hands that move the needles. It is the end of our first day on this trip to Lebanon and Syria with The Outreach Foundation. I am tasked with encapsulating it for you at home, and so I have taken good notes through our visits on this Friday in Beirut. But as usually happens, the threads of the day all come together into a whole cloth of beauty and truth when someone brings the word to us in a team devotion. Tonight that was Marilyn, our fearless and faithful leader, who gave us the words of Paul (which he gave to the church at Philippi) and the title of this blog. The words are appropriate for this group of American Presbyterians as we wait in hope for our visas into Syria next week. We will see many hard things. We will hear many hard things. We will wonder where to find hope in a land that is in its seventh year of war. Most of those on this team have experienced it before on other trips to Syria, but some have not. The seeing before does not make the seeing now easier, as those pictures are easily drawn to the front of our brains and we know the names of the people who are the subjects and objects of those stories. Lisa put it very well tonight: they are just like me. But Marilyn’s – and Paul’s – caution is to think on what is good, what is true, what is honorable, what is just and pure and pleasing and commendable. That is quite a list of words to keep in mind, so let us concentrate on the good. I will get to the title later! 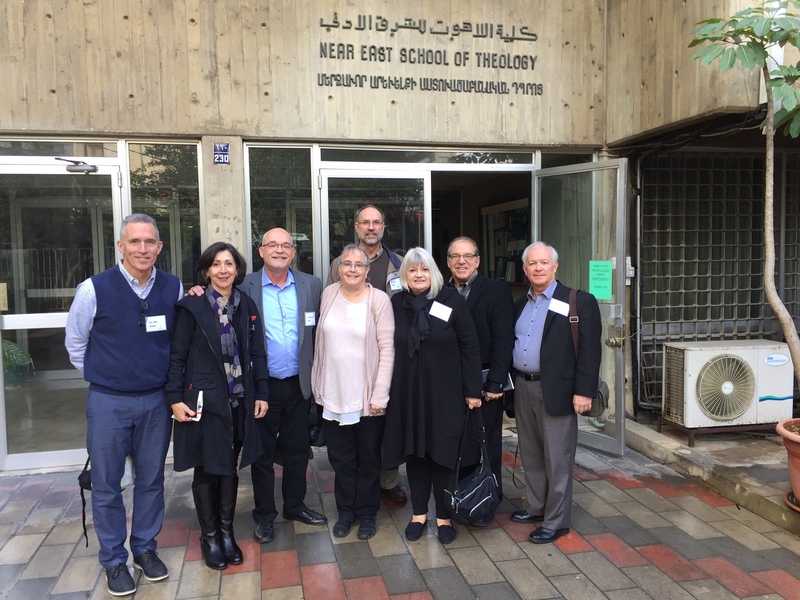 Our program visits today were to two of the special partners of TOF in Beirut: the Near East School of Theology (NEST) and the offices of the National Evangelical Synod of Syria and Lebanon (NESSL). To sit with Dr. George Sabra, the leader of NEST, is always like being a part of the best class experience ever. 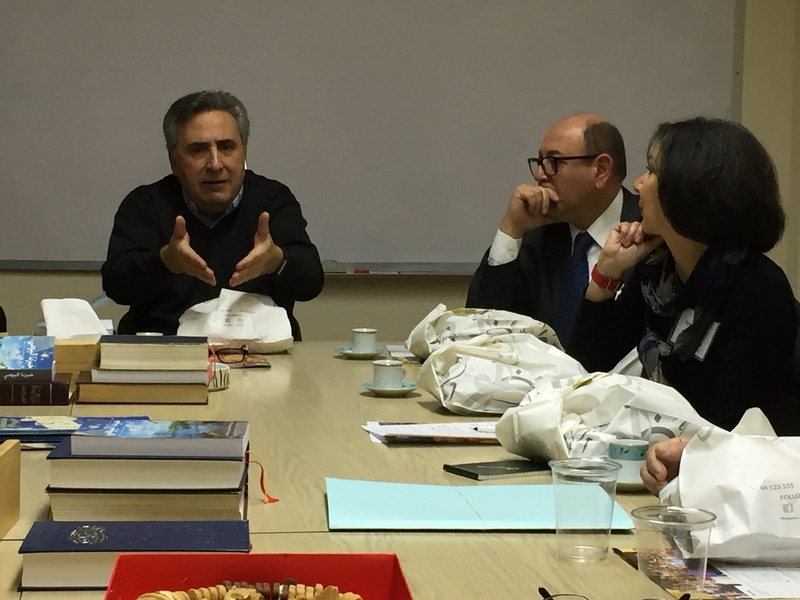 He speaks softly, and is always willing to give the numerical facts of this theological institution – how old it is, how many students, how many faculty – but then will give you the meat of what this place means to the life and vitality of the reformed churches in Lebanon and Syria. For example, to celebrate the 85th anniversary of NEST this past November, NEST published the culmination of a multi-year project to translate John Calvin’s 16th century Institutes of Christian Religion into Arabic. It’s a book for scholars, not the every day reader, so why bother? What do 500-year-old words have to do with today? But then this educator goes on to remind us that Calvin wrote those words in a time when this new reformed faith of ours and the churches which professed it were under great oppression themselves. These words have importance in a 21st century context for Christians in the Middle East and so it was very worthwhile. These institutions have interesting challenges. For NESSL, it is coming to the conclusion that the church needs to get outside its walls; it cannot be an insular community. Projects like the refugee schools give the opportunity to daily touch the lives of refugees, nearly all Muslim, with the love of Christ. 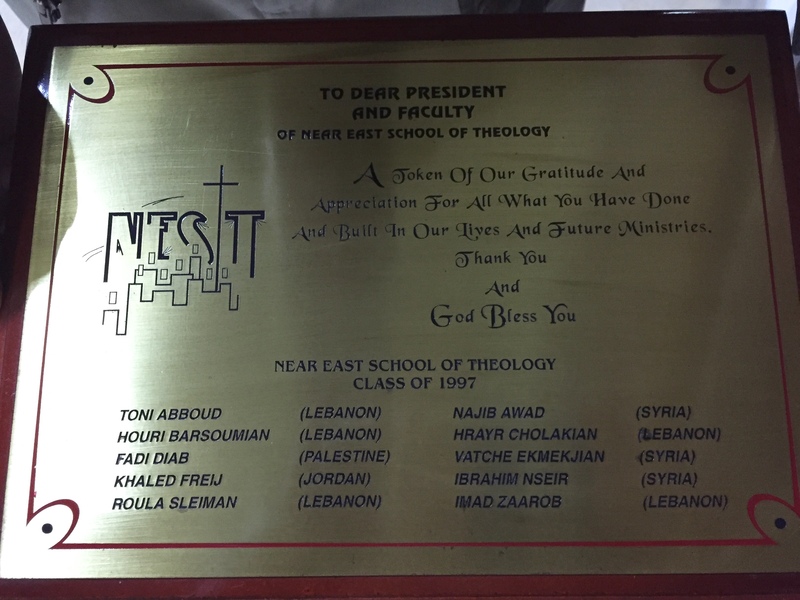 For NEST, one of those challenges is walking alongside their Syrian students and preparing them for future ministry in the east, in Syria, where the need is great for church leaders. I was reminded of the importance of that leadership as I took the picture of the plaque which represented the class of 1997. Three of those names go with faces I know well who perfectly represent the fact the NEST and NESSL are meeting those challenges. Rev. 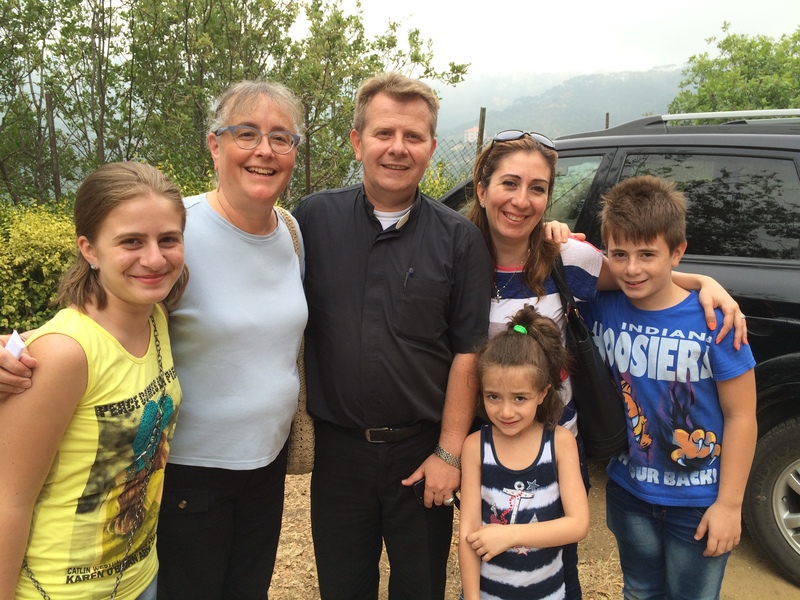 Tony Aboud is the pastor of the church in Kerbet Khanafar in the Bekaa Valley of Lebanon. His wife Ramak is the principal of the refugee school in Kab Elias. Together this ministry couple and their team touch the lives of sixty-plus students and their families daily. Rev. 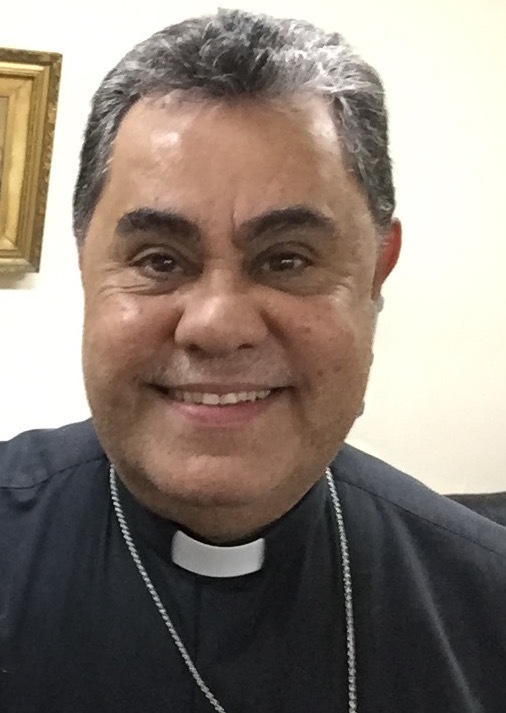 Rola Sleiman, pastor of the church in Tripoli in the north of Lebanon, is the spiritual leader of a large Synod school there as well as another of the refugee schools. 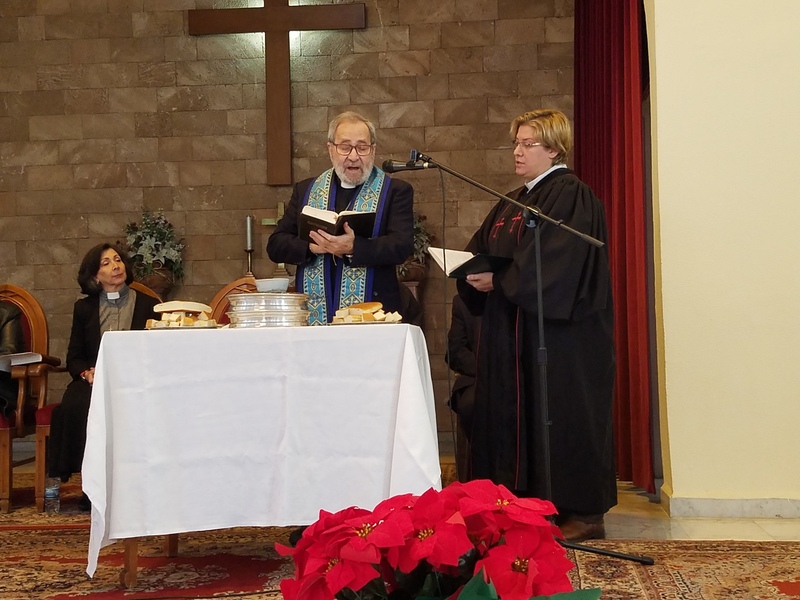 She is also the first woman ordained to the pastorate of a Presbyterian church in the Middle East. Rev. 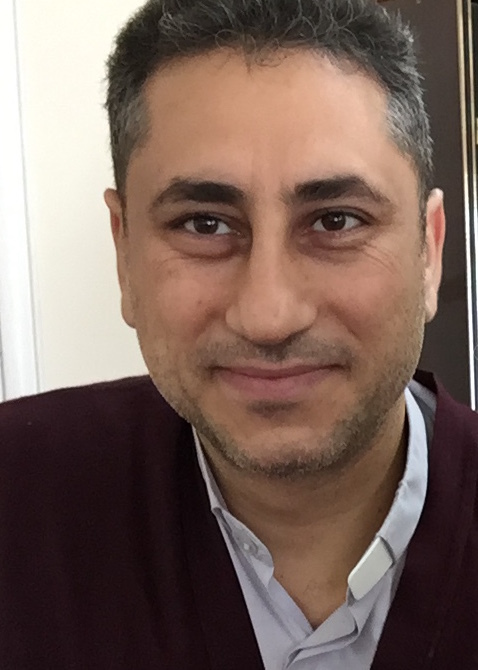 Ibrahim Nsier is the pastor in Aleppo, Syria, a church that volumes can be written about the infinite ways they have served faithfully through the destruction of war. You will hear more about that church and others in the coming posts. As we prepare to see what he has seen, and hear the stories of those who walked those days, we too will think on what is good and just, and remember that it is the people we met at NEST and NESSL who remind us that we have much material to work with.